As a landlord or letting agent, finding the right supplier is not always an easy task. Many of the property websites have a national focus and you end up searching through long lists of suppliers to find someone who operates in your area. We are different. Our website focuses primarily on the London property market and so all the suppliers we have listed operate in the local area. We hope you find this useful and we always value your feedback, including positive or negative reviews of the companies you have used. When you do contact one of the suppliers, please let them know you found them listed in the London Property Licensing Landlord Suppliers Directory. That way, they continue to advertise their services and you continue to receive the benefits of our online information resource completely free of charge! Please note that we are unable to recommend any particular supplier although we will always strive to find some of the best and most reliable contractors for you to use. We cannot accept any liability and it is important that you do your own due diligence when choosing a supplier. If you want to discuss having your company listed here, please get in touch by completing our contact form. The London Landlord Accreditation Scheme & ATLAS (Accreditation & Training for Landlords and Agents Service) educate landlords and agents. The more knowledge and awareness they have regarding property management issues, the more likely it is that their properties will be maintained to a higher standard and they will ensure compliance. We help landlords and agents to operate successful businesses, while avoiding the pitfalls and problems of operating a rental business. Get accredited today for less than £100! Have access to the latest, up-to-date information via our website, newsletters and further development courses. Use of the LLAS & ATLAS logos for advertising, on your letterheads, website, property adverts, etc. Regulated by the Royal Institution of Chartered Surveyors (RICS), Prinsegate Chartered Surveyors specialises in Party Wall Agreements, Full Structural Building Surveys and Specific Defect Reports. With offices in London, Kingston and Esher, our RICS surveyors will provide a detailed survey report within 72 hours of the inspection date. If you need expert advice on housing regulation, you have come to the right place! We specialise in providing simple, impartial and expert advice to landlords and letting agents. From handling licence applications, to providing representation at Tribunal appeals, we are here to help. Please contact us to discuss your requirements. Our consultancy service is provided by Richard Tacagni, Managing Director of London Property Licensing. He is a Chartered Environmental Health Practitioner and one of the leading experts in housing regulation with over 25 years experience. For four years, he was Head of Housing at LACORS, where he was responsible for helping all local authorities in England to implement the Housing Act 2004. If you need advice and assistance, please get in touch. We offer a reliable, knowledgeable and confidential service that is designed according to your needs. Housing Audit Services is an independent Cambridge based Housing and Health Consultancy. We provide a full range of bespoke private sector property licensing and management support consultancy services to small and medium sized landlords and managing agents, and managers who provide larger purpose built blocks of student accommodation. Electrical Safety First is the UK charity dedicated to reducing deaths and injuries by electrical accidents. We provide expert information and advice to help people use installations and appliances safely. Are you compliant? An NICEIC certificate can be produced once the legally required 5 year Electrical Inspection Certificate Report has been undertaken by our qualified electricians. Need a quote? Send us a picture of your fuse boards and a quote will be sent by return. Davenheath provides a more personal approach to help landlords understand electrical safety requirements. Did you know it is a legal requirement for the fixed electrical installation to be checked every five years in a House in Multiple Occupation? Regular checks in single family lets are also recommended. Fail to comply and you could face legal action. We can provide you with a fixed price for completing an Electrical Inspection Condition Report and we offer a fast, responsive service. Our qualified staff are here to help, please give us a call. NAPIT regularly assess our installers for your peace of mind. No matter the job, NAPIT Registered Installers can carry out the work, provide the correct certification and help keep your property safe. Find registered installers in your area for a wide range of work on the NAPIT website. SE London Energy Performance Certificates are a licensed Welling based energy performance certificate with over 10 years of experience of doing both Residential and Commercial EPCs throughout the borough of Bexley and South East London. Contact Paul Simmons, Tel 07962 4004965. Fire & Security specialists for over 30 years. With Landlords facing ever increasing legal requirements Davenheath sensibly and professionally address all fire safety including design, installation & maintenance of Fire alarms, Emergency Lights, Fire Extinguishers. Fire Risk Assessments, 5 year Electrical Inspection Certificate Reports & PAT testing undertaken. Davenheath provides a more personal approach to helping landlords understand why and what is needed to be installed within premises to comply with British Standards. Our attendance, over several years, at the Landlord and Letting Show in London has proved that Landlords around the country receive different information on the legal requirements of fire safety, generally due to the fact that most information is obtained from the council in which the property is located, this can vary immensely council to council. Our qualified staff are here to help, please give us a call. Providing a professional service to individuals, landlords, property managers, small and large companies in all aspects of fire safety and fire safety management. You will get an honest service centered around legal requirements with a common sense approach to ensure the correct balance between conforming and financial outlay is struck. Our dedicated team of assessors are former London Fire Brigade Senior Officers/ Senior Fire Safety Officers each with 30 years’ service. Coupled with this extensive experience, each has industry recognised formal fire safety qualifications and is minimum Graduate member of The Institution of Fire Engineers (GI Fire E) and a Certified Fire Door Inspector (NAFDI registered). We provide installation, testing, inspection, maintenance of fire doors, extinguishers, emergency lighting, fire alarms, EICR and PAT testing, fire risk assessments and are sole external providers of fire safety training courses to London Fire Brigade Enterprises (the trading division of the London Fire Brigade). We can assist you with your fire safety requirements and help you stay legal by providing fire risk assessments using PAS79 methods. If you have a fire alarm, emergency lights and fire extinguishers we can also maintain these too to British Standards. All our engineers/inspectors are qualified with appropriate certification. Gas Safe Register is the official list of gas engineers who are qualified to work safely and legally on gas appliances. Always check your engineer is on the Gas Safe Register. You can find a registered business in your area by searching on the Gas Safe Register website. Record: a record of the annual gas safety check must be provided to your tenant within 28 days of the check being completed or to new tenants before they move in. Landlords must keep copies of the gas safety record for two years. All installation, maintenance and safety checks need to be carried out by a Gas Safe registered engineer and you can vist the Gas Safe Register website to find a registered contractor in your area. At InLet Management we provide independent property inventory management services, offering the full range of inspection options. We also provide out-sourced business support and virtual office solutions to small property businesses. Based in Greenwich & Bexley, our inventory services are offered predominantly in south east London & north Kent. Our business support services are available across London and Kent. Call us to arrange a no-obligation consultation to explore how we can help you. The Residential Landlords Association (RLA) is home to over 30,000 members nationwide, with a combined portfolio of over a quarter of a million properties. As a special officer, visitors to the London Property Licensing website are being offered a £20 discount off their first year of RLA membership (join here). Providing the expertise, support and tools you need so you can do the right thing - by you, your tenants and the industry as a whole. A growing community of landlords who trust and rely on the RLA to deliver day-to-day support, expert advice, government campaigning. The National Landlords Association is the UK’s largest membership organisation for private residential landlords, supporting and representing over 40,000 members, from full-time landlords running property portfolios to those letting single bedroom flats. We help our members navigate legal and regulatory challenges and proudly offer some of the most comprehensive learning resources and market-leading intelligence available in the sector. Our collective experience and the inclusive, wide-ranging reach of our organisation, combined with a wealth of online products and value-added services is why we call ourselves The Knowledge Network. We are a South London based law firm with a specialist department who provides services to landlords and letting agents. Our Housing department has a strong reputation for its expertise in this area and the breadth of our knowledge when it comes to helping landlords and letting agents. If you have an issue that you need legal advice on, please call us on 020 7940 4060 and we can discuss how we can help you. 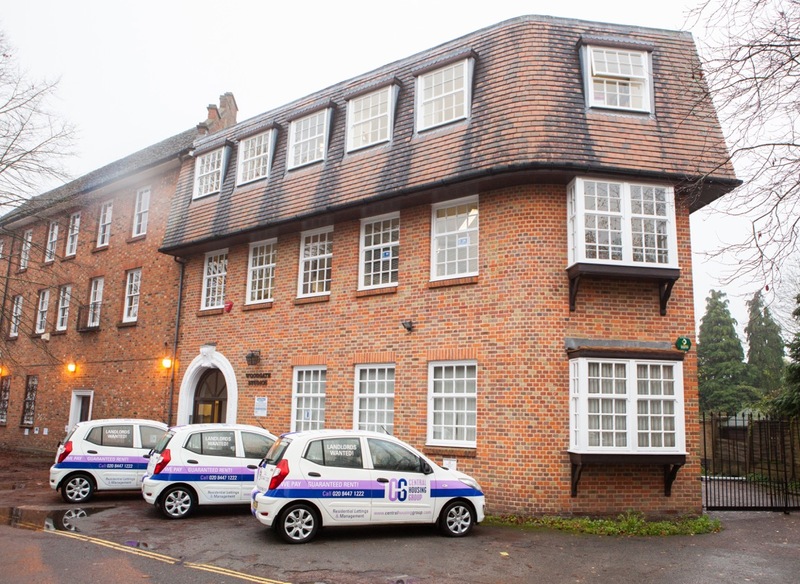 We are a well-established residential Letting & Managing agency operating in North, East & West London. We procure privately rented properties across London from landlords who value the many benefits of our ‘Guaranteed Rent’ scheme. We are approved suppliers, under contract to several London Councils. In particular we would also refer you to the ‘Testimonials Page’ on our website: www.centralhousinggroup.com/landlords-testimonials to read what our current and former landlords, local authorities and tenants have all said about our ‘Guaranteed Rent’ scheme. When choosing a letting agent, you should look out for one that displays the SAFEagent logo. It means they are part of a recognised industry Client Money Protection Scheme that will protect your money in the event that anything should go wrong. It also give you peace of mind. In addition to the peace of mind it brings when you see the SAFEagent logo, any agent registered with SAFEagent must be part of a regulatory organisation such as ARLA, the Law Society, NALS, RICS and UKALA. This ensures that they meet defined standards of customer service and client accounting practices. To help you find a SAFEagent that operates in your area, you can use the search facility on our website; simply click here and scroll down to the bottom of the page. To find out more, you can also watch our 2-minute video. When you decide to let your property, employing a good agent to handle the letting for you can give you peace of mind. Agents who have been licensed by NALS will provide a written agreement for managing your property, setting out the services they provide and what that will cost. You can find more information about the NALS Service Standards here. To find your nearest NALS licensed agent, simply enter your postcode using the search facility on the NALS website. When choosing a letting agent, it is important to find someone with a strong record of achievement who can be trusted to look after your property. We have over 130 years of property experience within East London and the South East and have a fantastic team who are keen to assist you! As members of the Royal Institute of Chartered Surveyors, we are committed to delivering a high quality service and we are accredited through the London Rental Standard. We can assist with all your lettings and property management requirements and we can even help you obtain a property licence if you need one. We are members of the Property Ombudsman redress scheme and members of TDS / Deposit Protection Service for securing all tenancy deposits. To find out more please, give us a call and we would be delighted to discuss how we can assist you. As an independent family run business we pride ourselves on our high levels of customer care and our professional and personal service. We specialise in residential lettings and property management throughout East London, Essex and the surrounding areas. For a no obligation enquiry please do not hesitate to contact us. We have over 30 years of experience in the industry and as a result we have a wealth of knowledge of the residential property sector. We are members of ARLA and NAEA Propertymark, ARLA Inventories and The Property Ombudsman, providing existing and potential clients with the peace of mind that their property and rental income is in safe hands. We look forward to hearing from you to discuss your requirements. Hilbery Chaplin have been offering professional property advice since 1894. We are members of ARLA and The Property Ombudsman and have a wealth of knowledge and expertise to assist potential clients. Please feel free to visit our website www.hilberychaplin.co.uk or call us on 01708 770444. We are a team of specialist mortgage advisers. No matter how complex your circumstances if there’s a way we will find it. We are regulated by the FCA and offer all types of property finance including mortgages, second charge loans, commercial, bridging loans for residential, investment and development. Keys (UK) Limited are proud to be Shawbrook Strategic Partners and are direct to all the main commercial and bridging lenders. We do not use packagers where this can be avoided. We are also members of the National Association of Commercial Finance Brokers (NACFB) and are associates of the Association of Bridging Professionals and the Association of Mortgage Intermediaries as well as being National Landlords Association preferred suppliers. Whether you are seeking a buy to let mortgage or want to re-mortgage your existing portfolio, we can provide landlords and property investors with independent, professional advice, backed up by the correct qualifications to give you peace of mind. (DipFA, CeMap, MIFS Director). 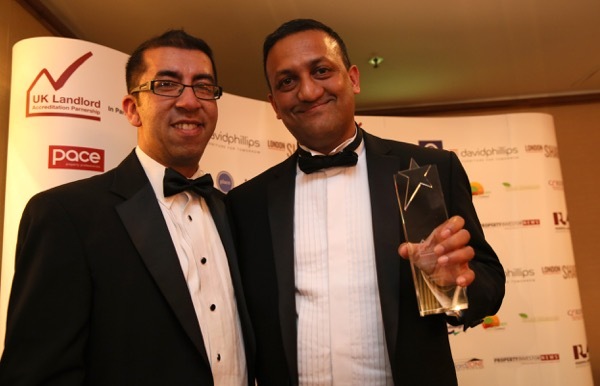 He has worked in the industry for over 33 years and regularly speaks at property network meetings across London. As a private landlord himself, one of his advantages over other brokers is that he has his landlord/developer ‘hat’ on when he talks to investors about the finance options to help them maximise returns. If you need residential, BTL, or bridging finance, please contact Peter on Tel 01322 553282 to discuss your options. As he belongs to the largest mortgage network in the UK, he often has exclusive deals that can change on a daily basis. 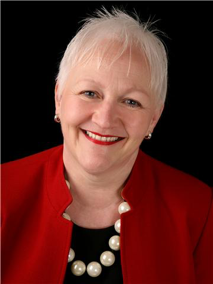 Linda Wright is an independent planning consultant and Director/owner of PLANiTWRiGHT Ltd – Planning Consultancy based in the North West. Linda handles all types of projects and is an expert in HMOs especially in the Greater London Area. Whilst our award winning website provides lots of free information, we recognise that you may sometimes want more practical help with the licence application process. We provide simple, impartial and expert advice on all aspects of property licensing and we can even handle the whole licence application process for you! Fixed price licence application handling service for houses in multiple occupation throughout the London area (read here). Applying for temporary exemption notices. Dispute resolution and problem solving. If you need advice and assistance, please drop us a line and let us know what support you need. Customer satisfaction is important to us and you can see recent reviews of our company on Trustpilot. If you are a private landlord and need help with your property licensing application, you have come to the right place. We are experts in property licensing and can handle your application from start to finish, making the process as simple and hassle free as possible. We specialise in selective licence applications. We recognise that many landlords don’t have the time to apply for a licence but do worry about the legal consequences of getting things wrong. We can remove that worry and inconvenience by dealing with the whole application process for you. We can arrange all the certificates needed to accompany your application and we can provide advice on property condition and management. We are a small, independent business based in Newham that provides an honest, trustworthy and reliable service. We have already obtained over 450 property licences for our clients with a 100% success record! HMO Services London are an end-to-end property licensing company, bringing together all the skills and services needed to license your property. Need help with property licensing? Are you a landlord, agent or property manager responsible for a licensable property? If so, HMO Services London can help. As property licensing regulations are constantly changing, we offer a variety of services from consultancy calls providing you with council and property specific advice to full licence application and consultancy services, ensuring you obtain your licence as quickly and easily as possible. Do you need help with your property licensing? The HMO Licensing Company specialises in HMO and Selective Licensing. We take on the burden of the application, handling all your licensing requirements, from beginning to end. We are experts in licensing across all London boroughs and we are here to help you. Property Licensing can be a real headache, and a big worry. The HMO Licensing Company was set up specifically to provide advice and guidance to Landlords, Agencies and Property Managers on their concerns surrounding compliance with HMO and Selective Licensing. Our application service is quick and trouble-free; we will handle the entire process for you. With applications filed across all the boroughs of London on behalf of our UK and overseas clients, we pride ourselves in close and confidential business relationships. We have developed strong working rapports with Local Authorities responsible for enforcement and the granting of licences. GetRentr monitors and aggregates all UK Property Licensing regulations, creating a live dataset covering the entire UK. GetRentr's platform automatically reconciles clients’ portfolios with the UK's Property Licensing framework, immediately notifying them of anything that impacts their properties. GetRentr helps agents derisk liability, retain customers, and drive new revenue streams. As the UK’s Property Licensing architecture becomes increasingly dynamic and fragmented, the frequency of new consultations, amendments, expiries and implementations is rapidly increasing. GetRentr leverages AI, data and tech to automatically track and aggregate each one into a UK-wide database. GetRentr's platform puts agents and landlords back in control, automatically and continually reconciling their portfolios with the UK's Property Licensing framework, immediately notifying them of changing regulations that impact their properties. GetRentr is the only data driven solution empowering agents to derisk, upsell premium service, and drive revenue through a targeted licensing application service. If you own rental property in personal names, are a portfolio landlord and a higher/advanced rate tax payer, then you’re almost certainly paying too much tax on your property income. Take our property business tax assessment to see if we can help you benefit financially from running a recognised property business. Less Tax for Landlords is a specialist multi-disciplinary consultancy that helps portfolio landlords maximise the commercial benefits of building, running and growing a recognised professional property business. What type of clients do we act for? Simply put, we act for private landlords and developers who want to own, run, and grow a recognised professional property business in line with stated Government policy so that they have more control of their own lives, a greater choice over where their profits are spent, and the ability to eventually pass on a profitable and sustainable going concern to the next generation.